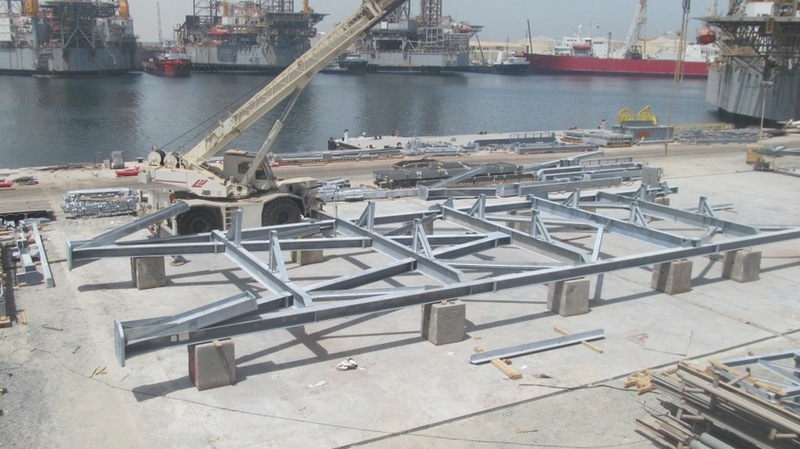 From assembly, erection, installation, outfitting & commissioning, to API inspection, modification, repair and decommissioning: Derricks have no boundaries to our team of experts. 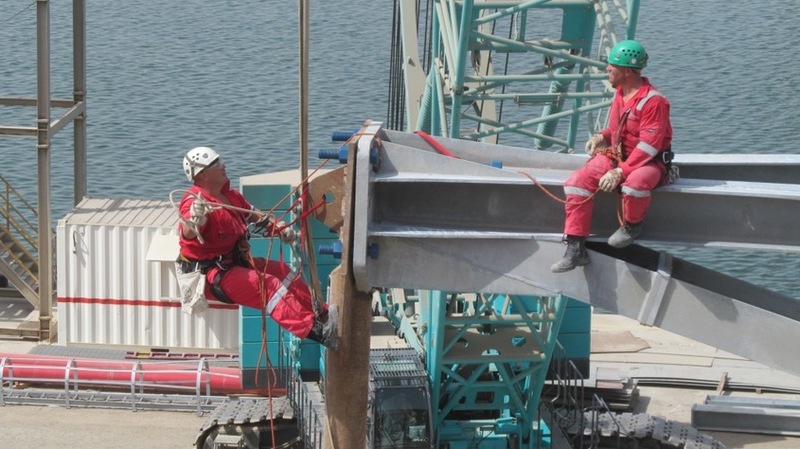 Derrick construction is always undertaken by an experienced team of Derrick builders, also known as Rig builders who are all multi-skilled rope access technicians. 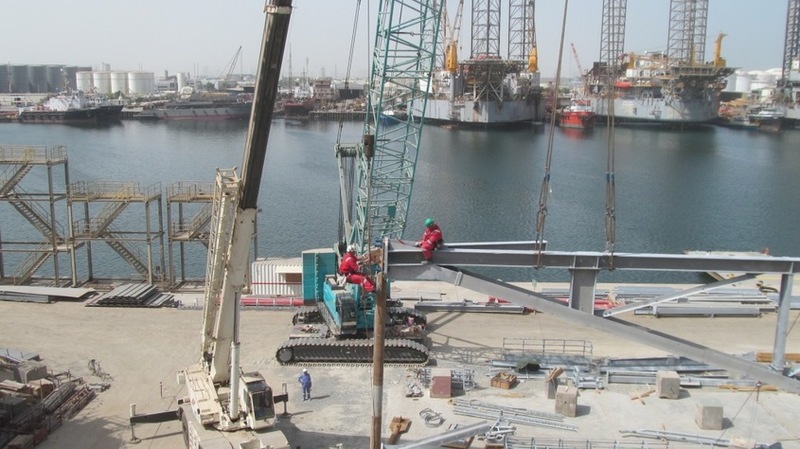 Our team has the ability to undertake the erection and installation of any type of Derrick, including all OEM equipment and ancillary items. 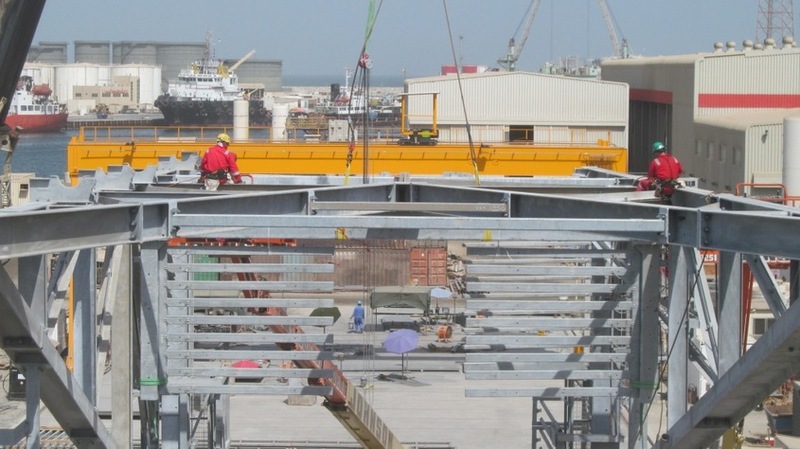 “One of our latest projects on behalf of Lamprell Energy ltd: the ENSCO 140 new build derrick, has been a very exciting, large scale project where we could truly prove our derrick service capabilities and expertise”, according to Allrig’s Global Project Director Steve Johnson. Electrical lights and JB’s were installed. 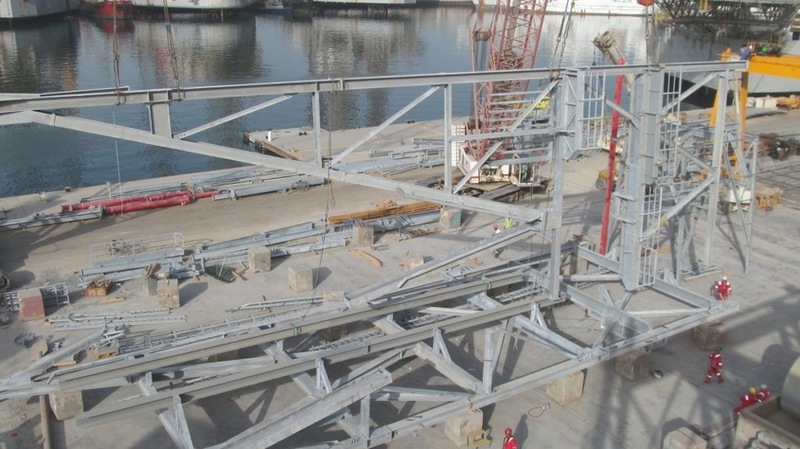 The upper section of the derrick was assembled and outfitted in the same manner. 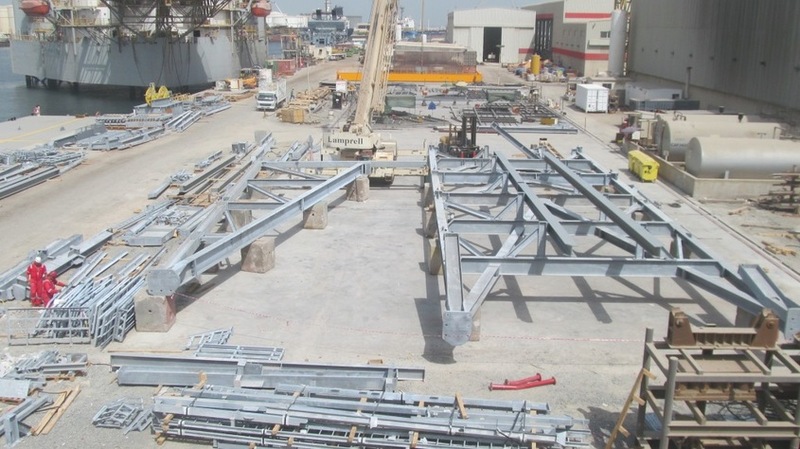 Both the Lower- and Upper sections were then ‘top and tailed’ into vertical positions, ready for installation onto the rig. 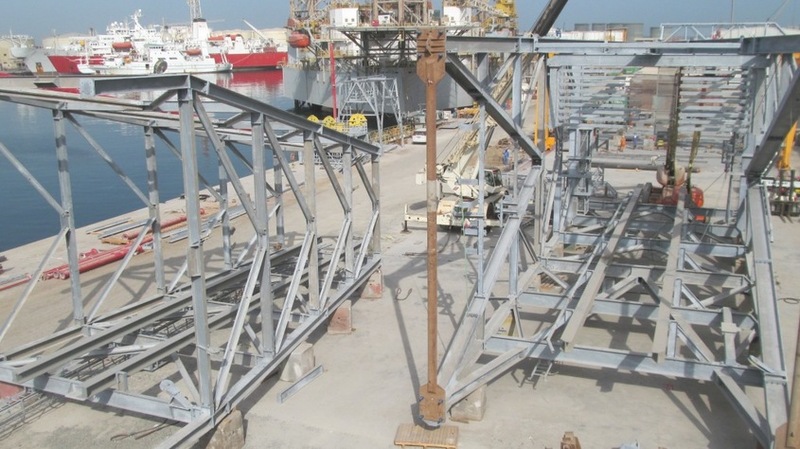 The lower section, weighing 145T, was installed onto the rig first, followed by the upper section, which weighed 75T. Lamprell Project Manager Zadok Van Winden. Are you looking for a smart partner? Please challenge us: contact the nearest Allrig location or send an email to: sales@allriggroup.com and find out what we can do for you. 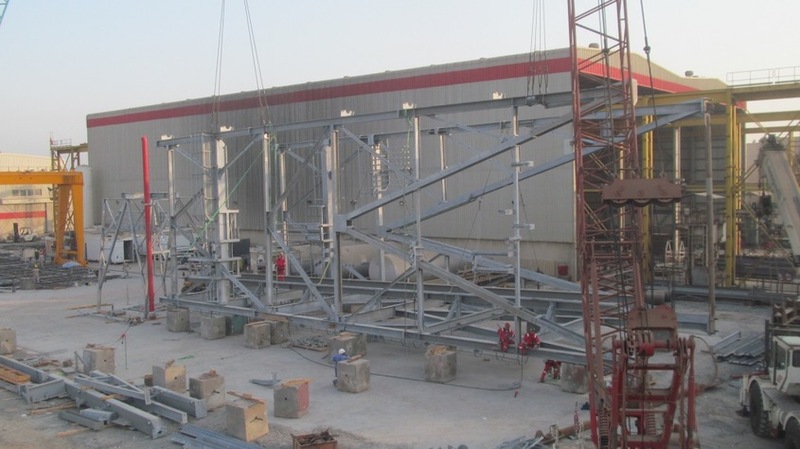 Home » Cases » Multi-Derrick New Build – Lamprell Energy ltd.